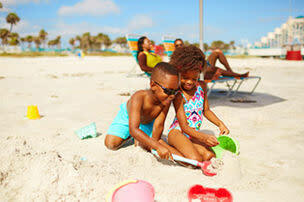 When planning for a family vacation, it can be hard to decide if you’d rather lounge on the beach, ride on roller coasters or soak in some area history. Fortunately, Daytona Beach puts you in a position where you don’t have to choose. Not only does Daytona Beach offer endless entertainment, historical sites and beautiful beaches, but it also puts you in close proximity to many of Central Florida’s top attractions.If you’re looking for the ideal vacation solution to please everyone in your family, look no further! 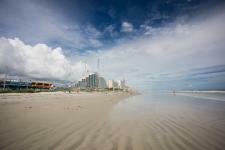 One of the best perks of staying in Daytona Beach is that you can get oceanfront accommodations at a great value. 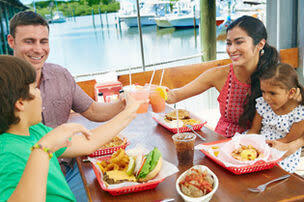 You can experience beachfront fun and still visit other Central Florida destinations on your list. Visit with Mickey Mouse and still make it back in time for a sunset beach walk. Make a quick trip to the Kennedy Space Center, only about an hour’s drive away. Or, go to Universal theme parks for the day and return back to your beachfront hotel, just over 60 miles away. You could even spend the afternoon exploring the nation’s oldest city in St. Augustine and make it back to Daytona Beach by dinnertime. 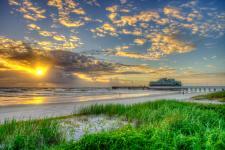 Daytona Beach is closer than you think to many of Central Florida’s favorite attractions and sites — and setting up camp here allows you to make the most of your vacation at a reasonable cost. Plus, businesses like Sandy Andy’s Beach Rentals make it easy and hassle-free to prepare for a beach trip that can turn into much more. This family-owned business does all the hard work to ensure your visit to Florida is fun and relaxing. Rent anything from beach chairs to boogie boards and never worry about how it will fit in your car or carry-on suitcase! Figuring out what to do about the little ones? Forget the hassle of traveling with all of your heavy baby gear. Sandy Andy’s offers whatever your baby or toddler needs, including cribs, car seats, pack ’n plays, strollers, toys, beach gear, high chairs and so much more! All of their equipment is sanitized and thoroughly inspected prior to each delivery, and it’s guaranteed to be in great working condition. This service can offer great relief to anyone planning a beach vacation — especially if you’re already packing for more than one destination in the Central Florida area. 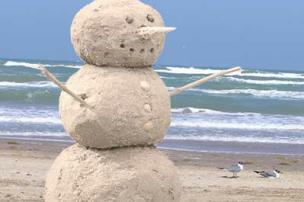 Call (386) 677-9990 to make beach gear reservations today! 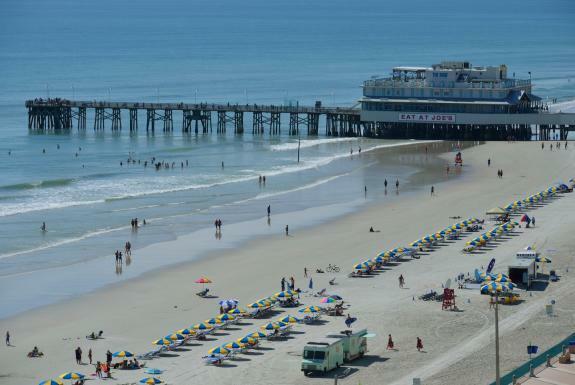 Whether you want to go on an all-day fishing adventure or feel the rush of adrenaline while parasailing, your hotel in Daytona Beach can serve as a beach base camp for all of your Florida excursions. 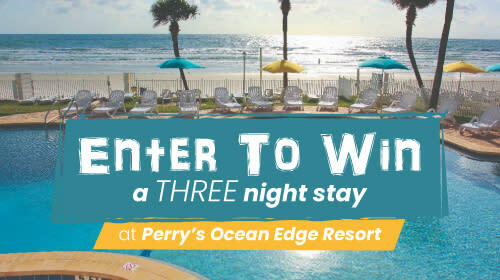 Of course, with 23 miles of hard-packed, white-sand beaches, extensive shopping and a thriving arts scene, you may get to Daytona Beach and never want to leave! 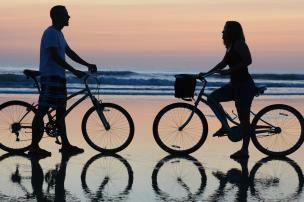 See, experience, stay and play in the Daytona Beach area and beyond — the possibilities are endless. 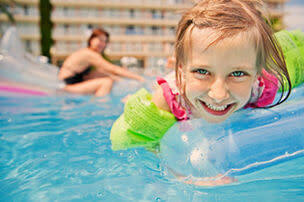 Start planning your Florida adventure today!